A sophisticated and elegant collection of contemporary textile designs for a beautiful home, perfect for people who are looking for something special. Choose from an exclusive range of cushions, lampshades and wall decor, as well as a delightful collection of gifts, kits and homewares. You can order directly from the ready-made collection, or commission Jo to make something truly bespoke. Everything that Jo creates is proudly designed and made in Great Britain, supporting local manufacturing wherever possible and keeping the carbon footprint as low as possible. Jo creates stunning pieces of original textile art inspired by British wildlife, evoking the beautiful colours of the countryside. An accomplished artist and designer with over thirty years' industry experience, Jo uses the exciting technique of free motion embroidery to 'draw' the details of the design onto the fabric with the sewing machine, bringing the piece to life. 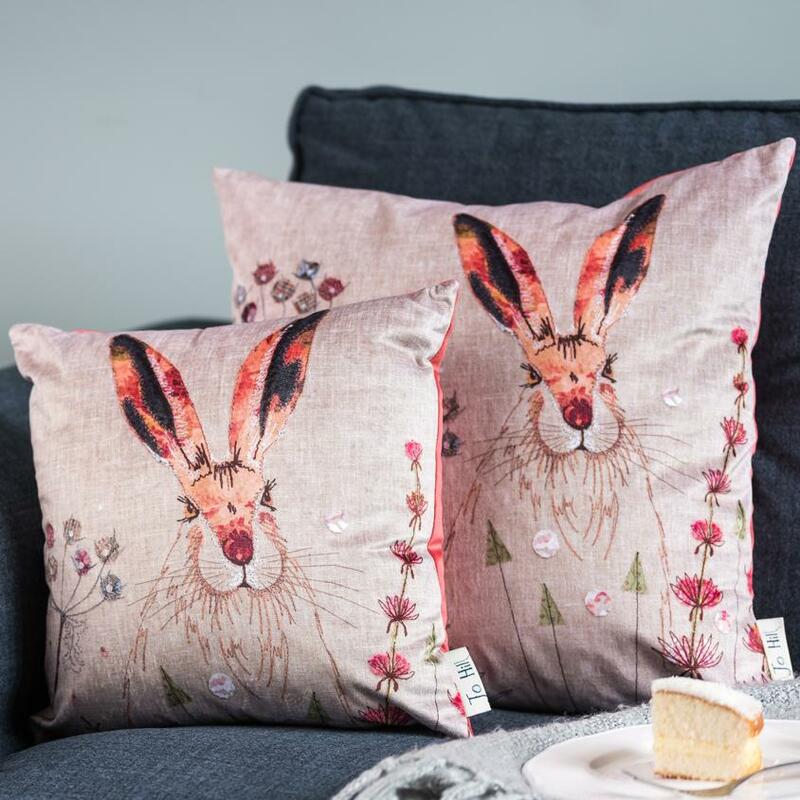 With her sophisticated use of colour and stitching technique, Jo captures the delicate detail of our wonderful wildlife such as birds, hares and wildflowers. The admiration and love Jo has for our British countryside is evident in every piece she produces. 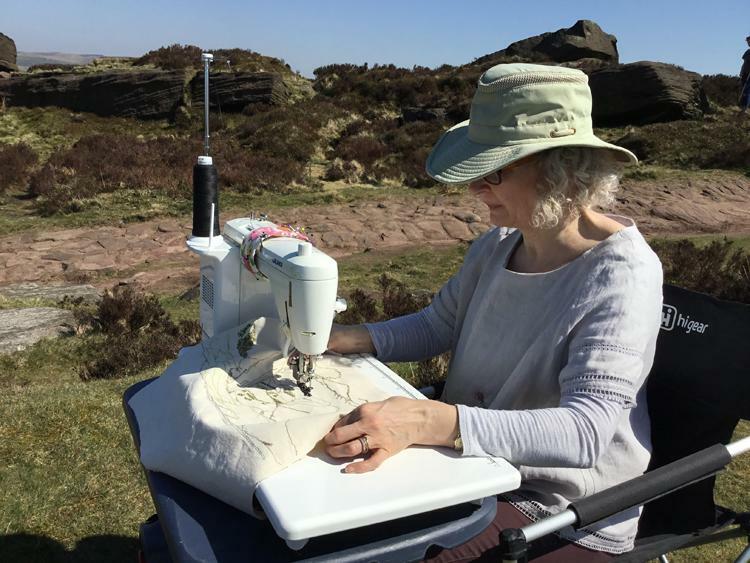 She can often be seen stitching 'on location' with her sewing machine and battery pack, gathering inspiration directly from nature and sketching it with fabric and thread. Once she has created the original, handmade design, a local professional photographer then takes a high quality photo of Jo's work. The design is then printed onto the range of beautiful homewares that you see on this website. 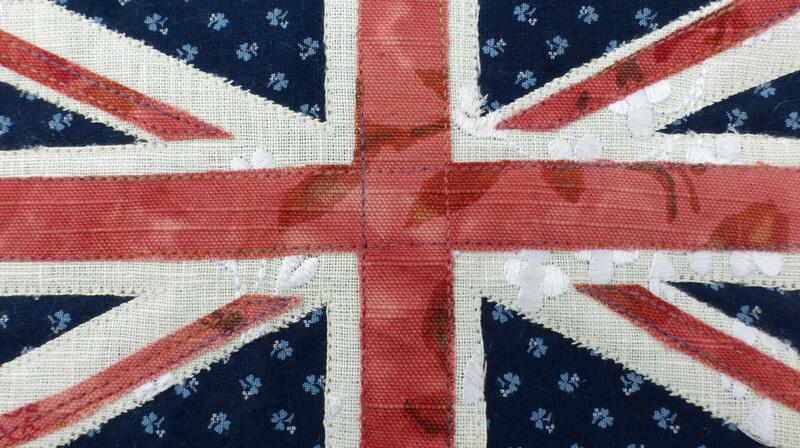 All items are proudly made in the UK. Jo has spent a long time sourcing and visiting the manufacturers which are able to deliver the finest quality products. She is confident that all products show off her designs at their best, and crucially, are timeless and made to last. Jo's work has been featured in Period Living and Staffordshire Life Magazine. Recent solo exhibitions include the Museum of Cannock Chase, Staffordshire (2017) and Gallery at 12, Staffordshire (2017). After a successful few days at Harrogate Home and Gift Buyers' Festival in July 2018, Jo is now proudly stocked in many shops across the UK. 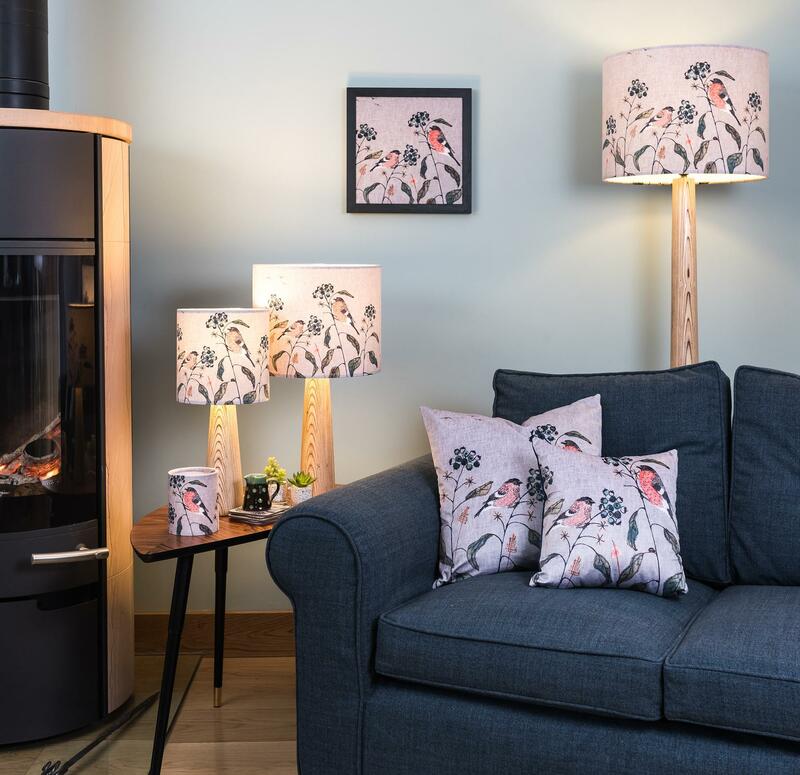 A selection of wall hangings, cushions and lampshades can be seen in shops and galleries across the UK, with the full range available on this website including many exclusive designs and products, only available here! Jo's collection of luxury homewares can be found here. Admire her unique, original handmade textiles or create your own with a Make it Kit. Feeling creative? Jo also runs a popular programme of workshops throughout the year on free-motion embroidery, lampshade making and many others. Please see the Workshops page for further details. Bring a little bit of nature into your home and celebrate the wonderful diversity of our wildlife! 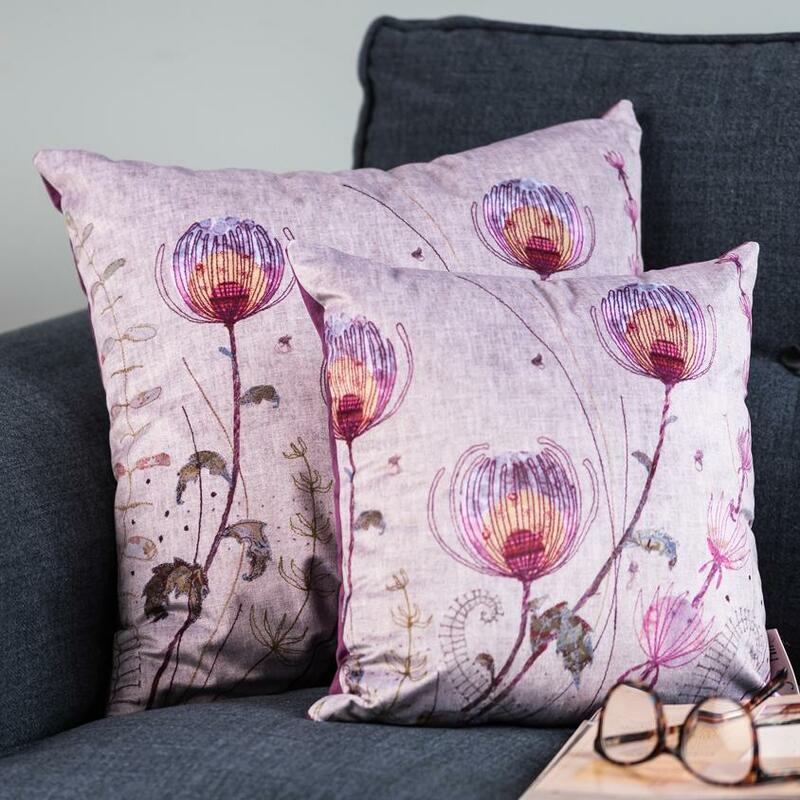 "I am a textile artist and designer based in the Staffordshire countryside, making luxury textile wall hangings, cushions, lampshades and homeware inspired by British wildlife. All pieces are lovingly made by me, from the initial sketch through to the finished stitched design. 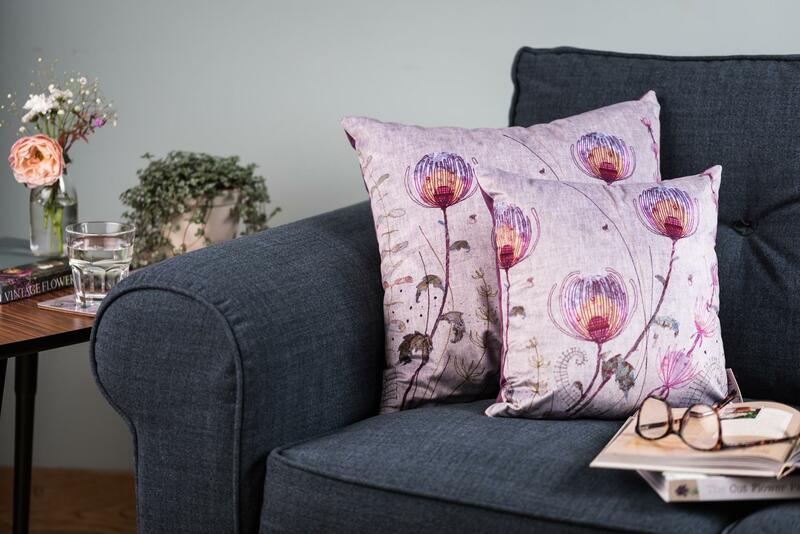 I use a lovely selection of sumptuous fabrics together with a style of sewing known as 'free-motion embroidery' to create contemporary textile treats for your home. I am inspired by nature, particularly hares, stags and birds. I love to get out and about in the countryside with my sewing machine and take inspiration from my surroundings! Have a watch of this short video of me sewing on location, on Cannock Chase! "Living in the British countryside is a constant source of inspiration for me, from the huge variety of birds that visit my garden, to the fallow deer on Cannock Chase. I love to interpret their colours and textures in a range of glorious fabrics coupled with fine, detailed stitching in my unique style. All of the work you can see on this website is available to buy - either for yourself or as a gift. If you have a particular idea in mind that you'd like me to create for you, please get in touch! To see a list of galleries that stock my work, please have a look at this page. During my degree in Textile Design I won several design awards and later went on to sell my woven creations to Habitat. My work can now be found in galleries across the UK. I am proud to say that I have been a member of Gallery at 12, an artists’ co-operative and gallery in Eccleshall, Staffordshire since 2009. I have spent the last few years developing the Jo Hill range of embroidered designs, producing detailed embroidery work that I am passionate about and is exclusively made by me. These original designs include wall hangings, cushions, lampshades and chairs. 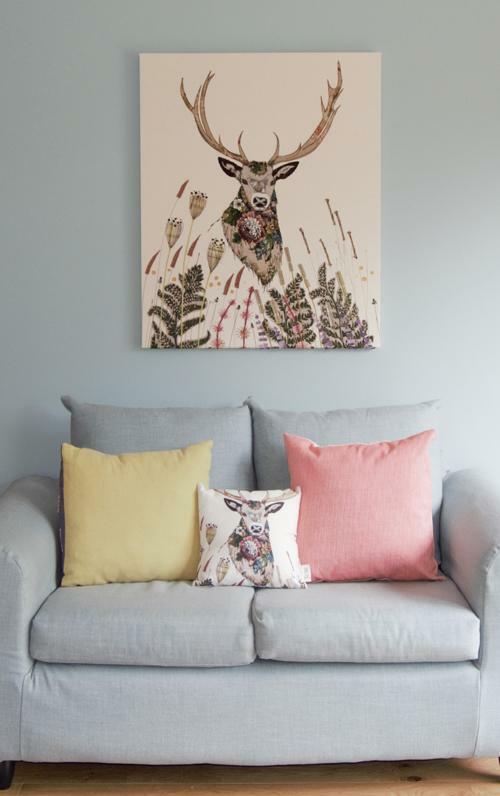 "My luxury textile pieces are inspired by the beautiful British countryside, in particular its diverse range of wildlife that is so often hiding in amongst the grasses and the trees." Everything on this website is available to purchase. The range of Original Textiles includes wall hangings, cushions, lampshades and chairs. Each item takes several hours - sometimes days - to complete but the end result is so worth it. I really focus on attention to detail in creating these pieces and make sure to select the perfect fabric to do justice to the particular animal or bird that I'm interpreting. The original textiles would look stunning in any home and become a real talking point. 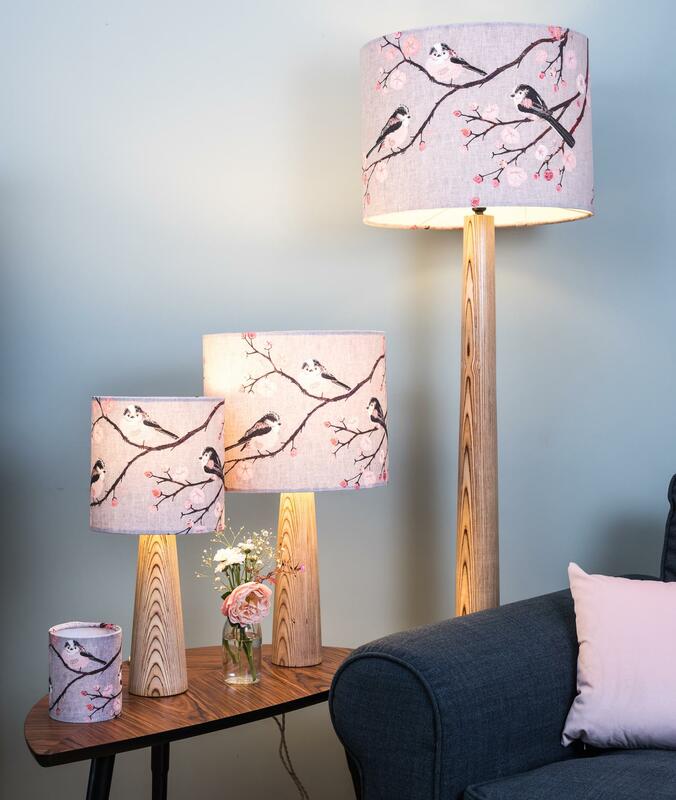 They are all designed to work alongside each other as one collection so feel free to mix and match designs based on your own tastes and wildlife interests. My new range of Homewares was launched in April 2017 and is designed with the contemporary home in mind. 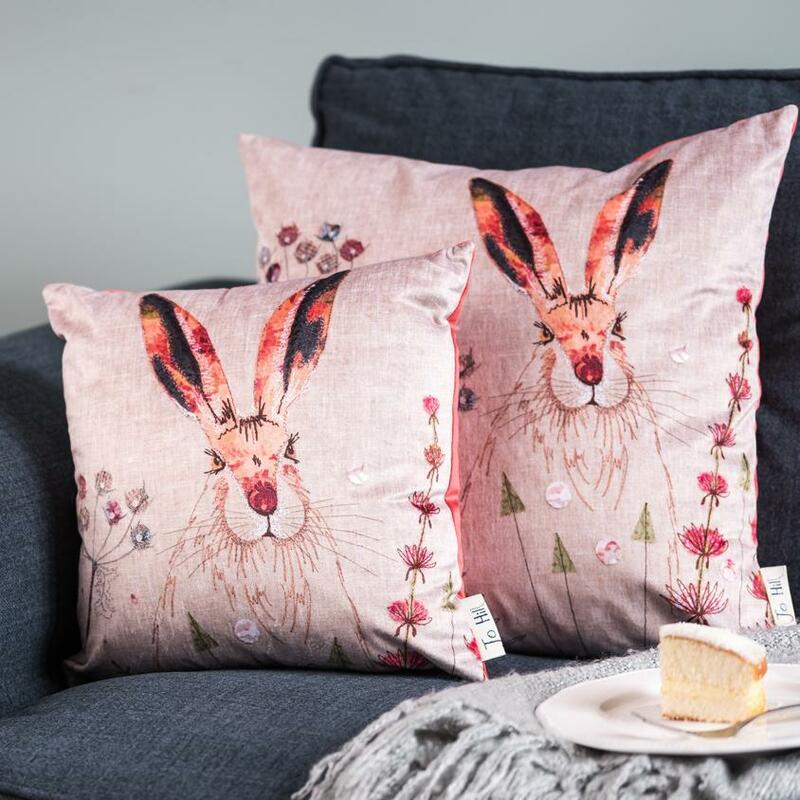 Choose from a complementary range of British wildlife designs, all professionally printed onto cushions, wall canvasses, coasters, tea towels and greetings cards. They are high-quality prints of my originally textile designs. You can also buy letterbox gifts which feature these designs, made to fit straight through the letterbox! I am delighted that several lovely galleries across the UK sell and promote my work. You can find them here. Colour, texture and pattern are central to my design process. Every piece of work is unique due to the variations in the materials and techniques that I select. The colour palette of my signature style echoes the magnificent range of colours found in nature, and I hand-dye many of my fabrics to achieve the perfect colour. Fine, detailed stitching allows me to really explore the wonderful year-round details that the countryside displays. My finely-developed style uses appliqué and free-motion embroidery, a technique that I have really refined over the years. I use the sewing machine to 'draw' the details of the wildlife on with thread and to bring the piece to life. 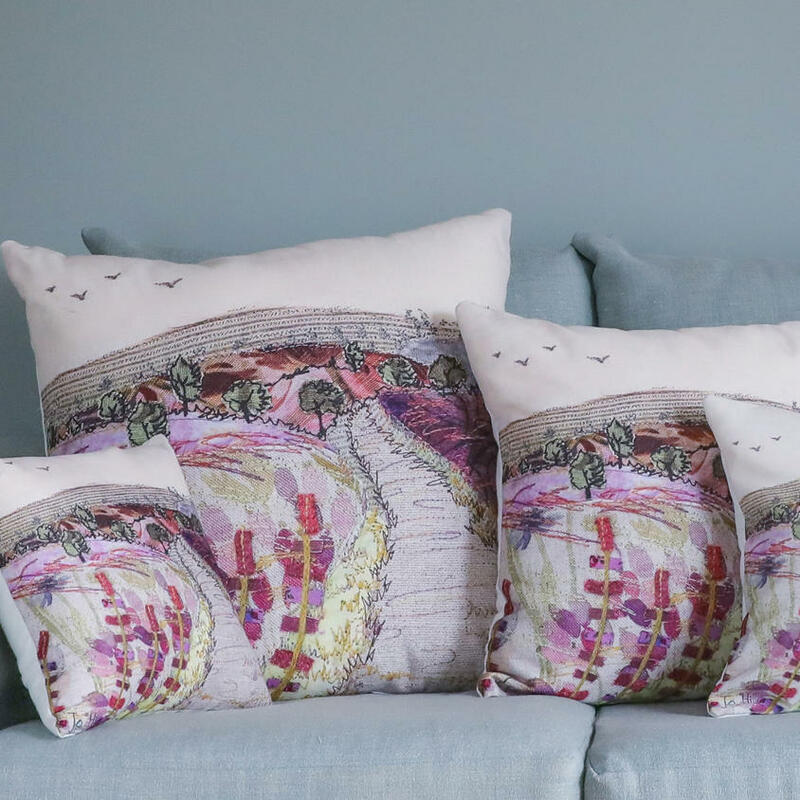 "We are incredibly lucky to be surrounded by so much nature and I want to invite you to share a little piece of it in your own home, interpreted with sumptuous fabrics and delicate stitching in my own unique style." Commissions are always welcome! I love being able to take a customer's idea and apply my own unique interpretation to create something lovely. I am lucky that customers really appreciate the time and attention that goes into handmade items. Each commissioned piece is bespoke and this becomes a real focal point in your home. I am proud to say that all of my original textiles are handmade by me in Great Britain with love, joy and lots of passion! Please use the top menu to view the items in my range. You can also contact me to discuss commission requirements; I would be happy to hear from you."